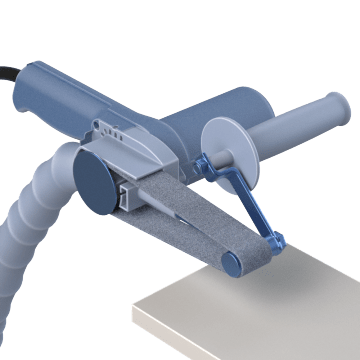 A narrow, abrasive band on these handheld band file sanders provides good control for detail and finishing work in corners, slots, and other hard-to-reach areas. Corded sanders are useful for frequent use in most standard applications. Also known as narrow-belt sanders, these portable tools are suitable for applications such as fitting doors, removing flash from door locks, sanding crevices on stair rails, and adding detail to furniture. 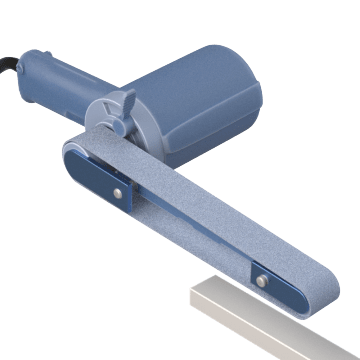 Plug these corded band file sanders into an outlet for consistent power output in demanding applications that require long or continuous run times. 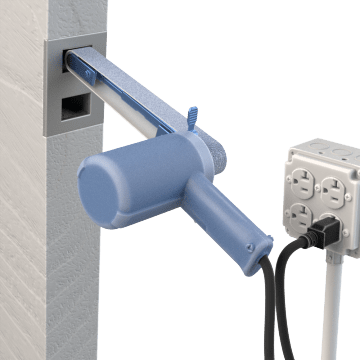 Dust collection ports on these band file sanders accept accessories to help capture dust, easing cleanup and helping to reduce inhalation of airborne particles.